Business Web Hosting: What Should I Look For? HostPresto! 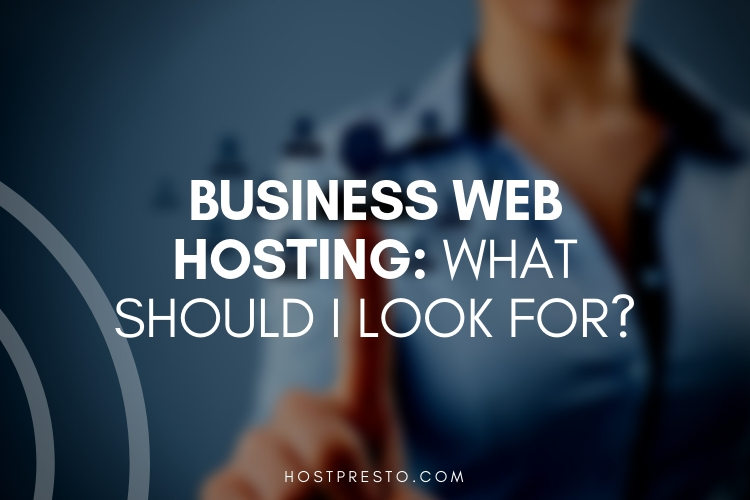 > Blog > Business Web Hosting: What Should I Look For? In today's highly digital world, most businesses understand just how valuable the right website can be. Launching a successful business site where you can share valuable content with customers and show off products and services can be the key to unlocking endless new opportunities for growth. However, there are a lot of important factors involved in launching a great business website. For instance, you need a great content strategy, a basic understanding of SEO, and an excellent hosting service. Choosing the right business web hosting solution is one of the most important parts of maintaining a successful presence online. However, many brands forget how crucial hosting is. To help you make the right decision, here are just some of the things you should be looking for from a hosting service. Business website hosting solutions come in many different styles and formats. 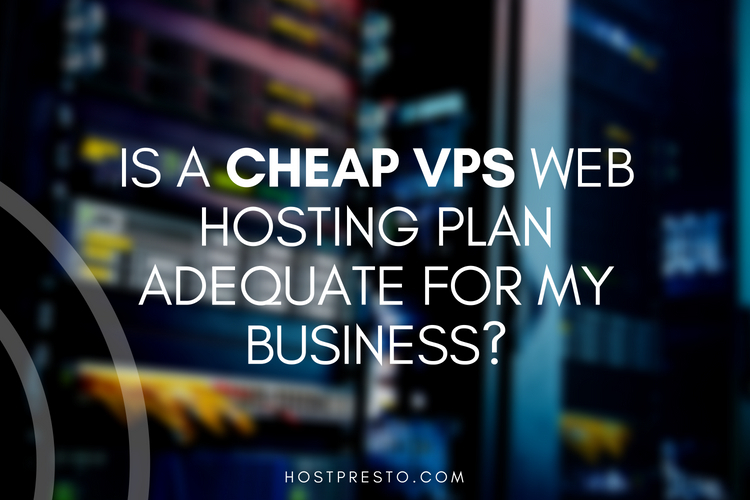 Understanding the needs of your business will help you to narrow down your hosting options. For instance, if you need a site that's going to be able to handle a lot of high-volume traffic every day, then you may benefit from a VPS hosting service or even a dedicated server. On the other hand, if your plan is to simply run a business blog, then you might get by with a basic shared hosting solution for a while. You can always start small and upgrade your hosting service according to the changing needs of your business. When you're thinking of buying a new product for your family, there's a good chance that you read the reviews and testimonials you can find online before you make your decision. 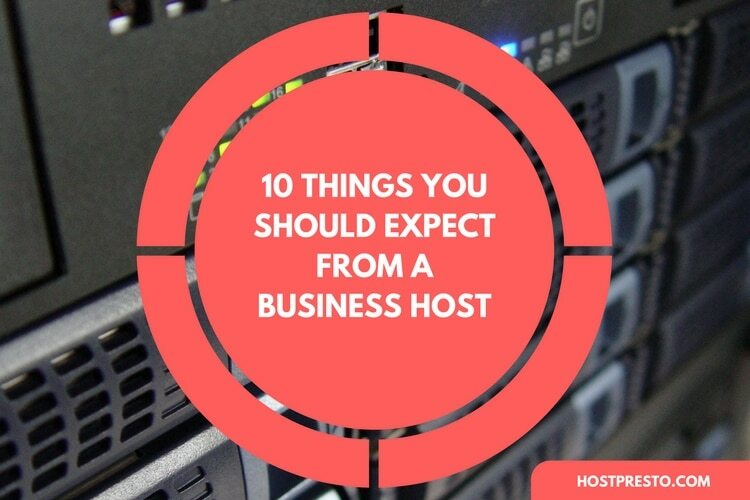 Why not take the same approach to choosing the perfect hosting strategy? Insightful customer reviews can teach you more about the kind of experience you can expect from your hosting provider. For instance, a set of reviews could tell you whether the hosting solution you'll get actually delivers the constant uptime it promises or not. Make sure that you pay extra close attention to how the business responds to complaints if there are any. When you're first launching your business website, you probably won't need a lot of bandwidth to keep everything running smoothly. However, it's worth noting that websites can grow rapidly, and the more space you leave for growth, the better off you'll be in the long-term. Make sure that any hosting company you choose to work with doesn't lock you into a certain bandwidth level and then charge you extra fees if you want to revise the hosting plan you've selected at a later stage; you need the freedom to grow as much as necessary. We mentioned above that it's worth looking at how the hosting company you're considering using responds to negative reviews. However, it's also worth taking your exploration of that company's customer support services to the next level. Remember, no matter how confident you feel about using your website control panel and changing things on WordPress, you're always going to need a little help at times. It's good to know that there's a customer support team waiting to assist you on the end of a 24/7 instant chat box or phone line. 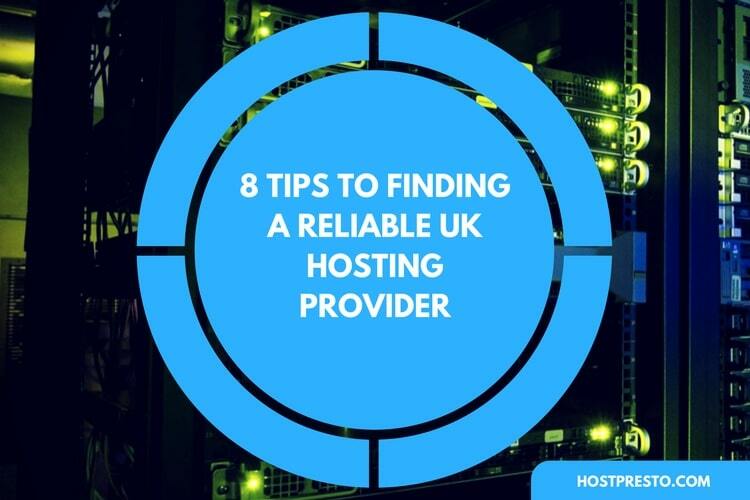 Even if you have a fantastic hosting service that offers an impressive uptime guarantee, it's crucial to know what your host will do to help you if something goes wrong. If your business site goes down for any reason, or you lose track of some essential data, what can your host do to help you out? Before you sign up for anything, find out what the plan is to restore the information that's most important to your company. If they can't answer questions about backups, then look elsewhere. Just as broken websites and power outages can happen for any business, security breaches are a common problem in today's world too. Make sure that your web hosting company can provide you with the level of security you need to keep your business data and your customer's personal information safe. This will not only give you the peace of mind you need to run your digital brand, but it will also give you the credibility you need to convince your customers to buy your products and services. Ultimately, when you're choosing the right web hosting solution for your business, there's a lot more to think about than just the price of the service you're investing in. While going with the lowest cost might seem tempting at first, make sure you don't forget about the six points we've mentioned above. 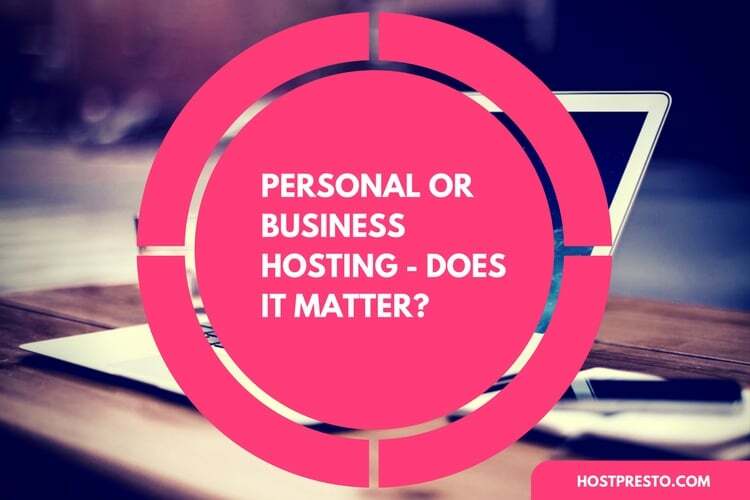 Personal or Business Hosting – Does it Matter?